Fantastic to see our new welcome signs on the school building and in reception. Governors convened for their first meeting of 2019 and its all change, but ‘full steam ahead’. With heavy hearts we accepted the resignation of Lennox Gregorowski for family reasons. Lennox has been a stalwart governor since Sept 16 and brought fresh challenge, insight and expertise. Rosemary Halliday, our associate governor will oversee safeguarding in the interim. We welcomed Geoff Mills as a guest and subsequently unanimously voted Geoff onto the Board. Geoff lives in Ashton and has a grandchild in school. Geoff has previous governor experience and as a director and accountant, he joins our Finance & Premises sub-committee. We know we will value & benefit from his contribution to our imminent budgeting and 3 year planning process. Governors applaud the school for drawing on Ashton’s community and connecting with our surroundings. Music, art and local research have all been used to enrich the curriculum and reinforce our values. Wonderful composition & performances of our new School Song. Incredible School version of the ‘Lost Words’ book. Memorable Remembrance Service, made more so by the interest shown & respectful behaviour of all the children, the presence of both standard bearer and bugler and Year 5 sharing their research into the backgrounds of the fallen from the village. Lest We Forget. Governors had a busy and productive first meeting of the Full Governing Body. We have a fresh look to our sub-committees. Alongside Wellbeing we have formed a Curriculum & Communication committee. Both committees will monitor sections of our School Development Plan, which majors on these areas for 18/19. Budget approval was delegated to the Finance Committee. We have Governor stepping down at the end of December. If you are interested in joining us or know of anyone, please do speak in confidence with Mrs Peacey or any Governor. This is a co-opted position and we are keen to appoint someone who connects with the school’s aims and values and will bring a new voice around the table. Training is available, so please do get in touch. Governors have held their final full meeting of 17/18. As you will be aware we have successfully filled one parent governor vacancy this year, but unfortunately have carried another since February. Ways to strengthen our board and return to full numbers has been extensively explored. It was unanimously agreed at our meeting to reshape our constitution and go forward with 3, not 4 parent governor positions, however balance this with an extra co-opted role. We are delighted that subsequent to this change, we unanimously co-opted Peter Taylor to our board. He brings a wealth of business experience and has previously strong links with schools through his work. Peter’s grandchildren are current pupils at Ashton and Pat, his wife, is a regular school volunteer helper. We are confident Peter will be a real asset to the school and hope you will join with us in welcoming him. Grandparents and adopted grandparents were given a real treat on Friday afternoon when we were invited into school to take part in a wide range of activities with the children. The whole school was involved with this and we were divided into four colour groups with our children. The activities included country dancing, hand printing, then and now recording and bunting making in readiness for the forthcoming Open Gardens. We were then invited into the hall for delicious scones, jam and cream. The grand finale of the afternoon was from the school choir who beautifully sang three songs, one of which brought tears to the eyes. The choir is going to join with many other schools at the Big Sing at Worcester University on June 18th. Thank you to Mrs. Peacey and to all of the staff and helpers for making us so welcome and for arranging such a special and unforgettable occasion. It was wonderful to interact with the children and to see the care that the older children have for the younger ones. The Full Governing Body approved the school’s budget to April 19 at it’s meeting on Thursday 26th April. Spend is centered around our staff development, curriculum enhancements, maintaining a safe & stimulating learning environment for our pupils and continuing our wellbeing intiatives. We acknowledged Mrs Rosemary Haliday’s tremendous contribution to the governing body. 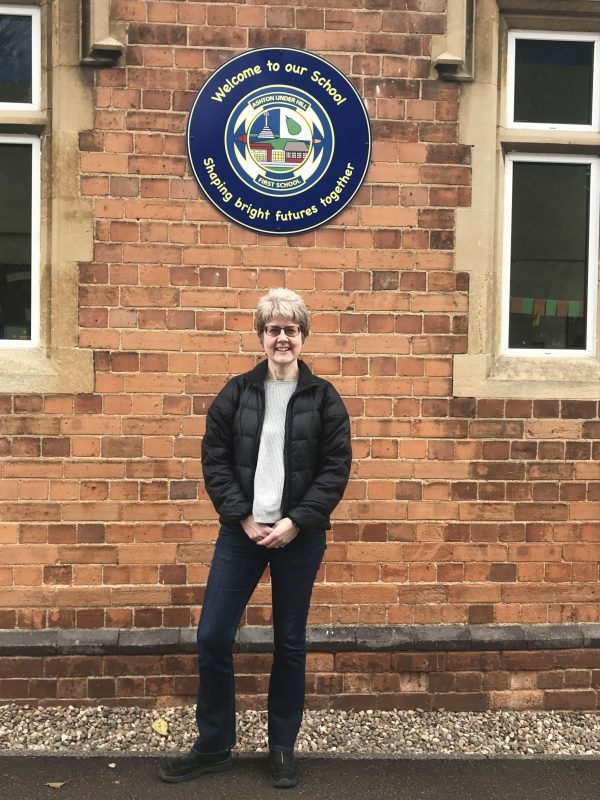 We are delighted that she will continue to support the school as an associate on the Wellbeing Sub-Committee. Mrs Debra Lincoln stepped down as a parent governor and was co-opted back onto the board by an unanimous vote. She will continue to act as chair until Sept 18. Delighted to be invited to join the judging panel for the Poetry Recital assembly, but goodness me, what a responsibility and tough job. The pupils were all worthy finalists and the audience applause was richly deserved. Governors fully support the school for holding this annual special event and congratulate the staff for the manner and spirit in which it is conducted. It touches on so many areas of the curriculum and personal development and is a rich experience for the whole school. Thoroughly enjoyable and well done to everyone who took part at all stages of the competition.